For further information, please contact Sam Foster at sam.foster@element-energy.co.uk. The Unlocking the Energy Efficiency Opportunity report, carried out for the Sustainable Energy Authority of Ireland, was launched in Dublin by the Minister for the Department of Communications, Energy and Natural Resources. In the report, we set out the findings of a detailed assessment of the size of the energy efficiency opportunity across all energy-consuming sectors in Ireland, the concrete policy mechanisms that could unlock those energy savings most effectively, and the impact of the energy savings on consumers, the Exchequer and the economy as a whole. We find that a range of policies could unlock primary energy savings of over 20% by 2020 with a total investment of just over €3 billion (around 1.4% of GDP), leading to lifetime savings of over €11 billion, and providing a net benefit to the Exchequer of more than €1 billion. The research has served as an evidence base for Ireland’s implementation of the EU Directives on Energy Efficiency (EED) and Energy Performance in Buildings (EPBD), and will continue to influence the country’s energy and low carbon policy for the period to 2020 and beyond. Quantifies the economic impact of energy efficiency on households, businesses, the Exchequer and the economy as a whole. The Summary for Policymakers and the Main report can be found here. Under the 2009 Renewable Energy Directive, Ireland is committed to ensure that by 2020, 12% of its heating demand will come from renewable energy sources. As part of this, the Irish Government plans to introduce a Renewable Heat Incentive (RHI) to promote the deployment of a range of renewable heating technologies including heat pumps, biomass heating and solar thermal. The Department of Communications, Climate Action and Environment (DCCAE) commissioned Element Energy to undertake the study An economic analysis for an RHI for Ireland. As part of this ongoing study, Element Energy and partners Frontier Economics developed a range of design options for the RHI and quantified the likely uptake of renewable heat and the associated cost to the government under each option. The study made recommendations on the preferred design for the scheme. Following Element Energy’s advice, the RHI – now known as the Support Scheme for Renewable Heat (SSRH) – secured Government approval and the scheme was announced by the Minister for Communications, Climate Action and Environment, Denis Naughten TD, in December 2017. The scheme is expected to start in 2018, subject to European Commission state aid approval. Leading a consortium including Frontier Economics and Imperial College, Element Energy assessed the potential contribution of a wide range of low carbon heat sources for heat networks, including biomass, water heat sources, industrial waste heat, sewage and others. As part of this, a state-of-the-art analysis of the spatial coincidence of waste heat and water sources with building heat demand was undertaken. 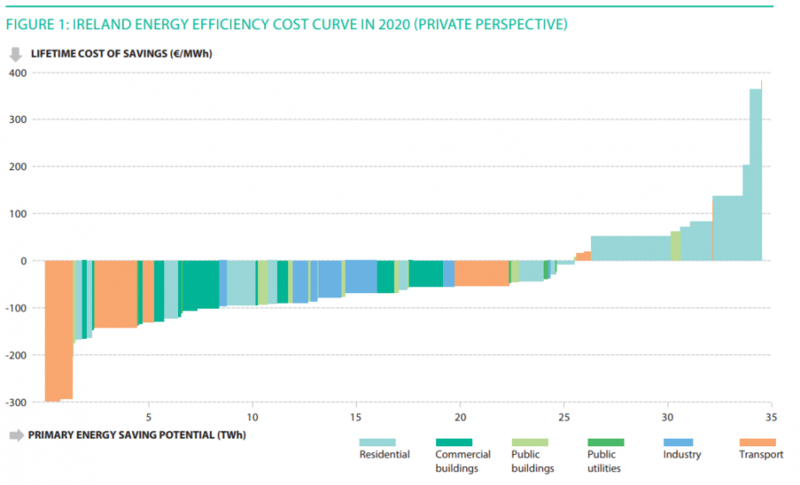 In the Central case, the study found a cost-effective potential by 2030 of 42 TWh/yr for heat networks, covering around 10% of UK space heating and hot water demand and including the connection of around 1.5 million homes. An important role was identified for low carbon heat sources, leading to carbon emissions savings of 6 MtCO2/yr in 2030. The project also made recommendations, supported by detailed modelling, on the policy interventions which will be required to enable such a level of roll-out of heat networks. Key recommendations include a financial incentive to heat network developers, which could be replaced by carbon taxation in the longer term, competition policy to address natural monopoly concerns and supportive planning policy in the form of dedicated ‘heat zones’ in suitable regions. For further information please contact sam.foster@element-energy.co.uk.